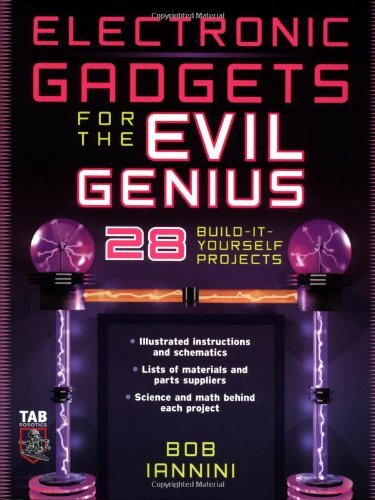 This revised and expanded second edition is extensively illustrated and includes a DVD featuring eighty-seven video clips and twenty audio tracks by over one hundred hackers, benders, musicians, artists, and inventors from around the world, as well as thirteen video tutorials demonstrating projects in the book. Further enhancements include additional projects, photographs, diagrams, and illustrations. This book is what every IC Bender needs it goes from the simple project to various experimental projects and the vidoes are a huge help. A must have for those who want some new ideas in beding. 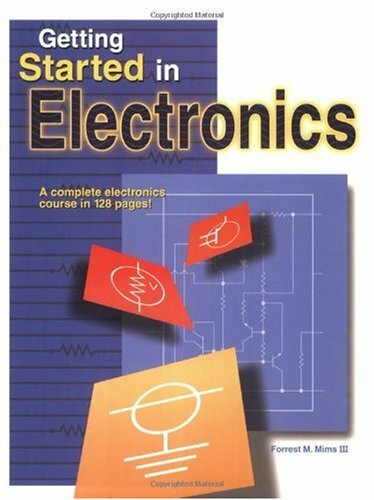 This book is, apparently, compiled from course materials for what must be a very fun class.It mostly covers two broad topics.First, producing unexpected sounds from radios and the circuit boards in toys, and modifying those devices in simple ways, such as adding photoresistors or new circuit board connections.Second, building simple synthesizers from scratch.The skills taught are basic, and form the building blocks for infinite exploration.The tools and parts needed are all inexpensive (often costing mere pennies).The included CD is great fun, but best saved for later listening, since it contains "spoilers" of what some of the projects might sound like. Because of the book's origination in a class situation, the explanations and pictures are not always ideally clear.There are a lot of typos. However, the writing is so engaging and the book is so much fun that it still deserves 5 stars.Where the book is incomplete ("how to I de-solder something? "), the Web is there. 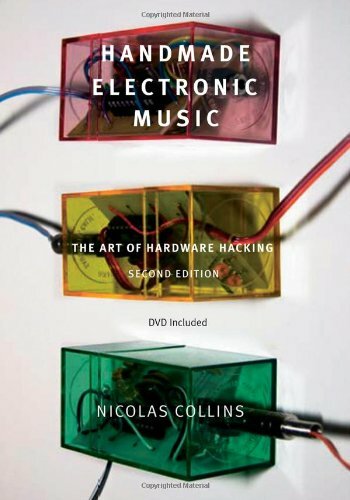 The book is clearly aimed at musicians without any electronics experience.Nonmusicians might still enjoy it, but a joy in playing with sound is absolutely required.I suspect the book would be way too basic for people with any significant experience in electronics. As sidebars, the book includes a considerable amount of history of electronic music -- who's who and what they've been up to. If you can't crack it open, it doesn't really belong to you. A great guide to taking apart old electronic noisemakers and turning them into something new. Also includes simple DIY electronic circuits with all the steps. The projects are compelling and workable. Give this to a young person and change their whole outlook on DIY. 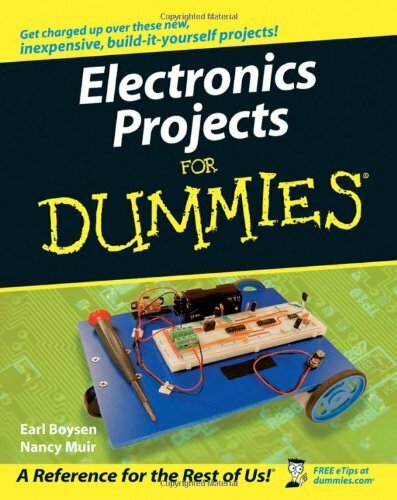 This is a really fun book, with lots of projects for budding electronic musicians. 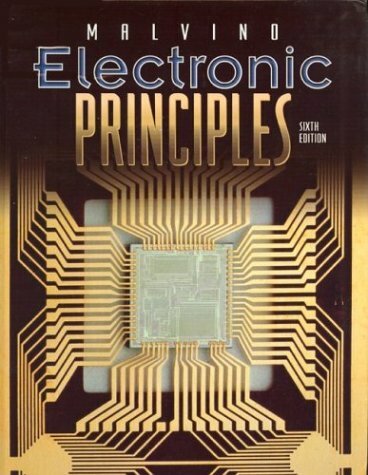 But it goes beyond that: It's a solid intro to electronics and CMOS components. 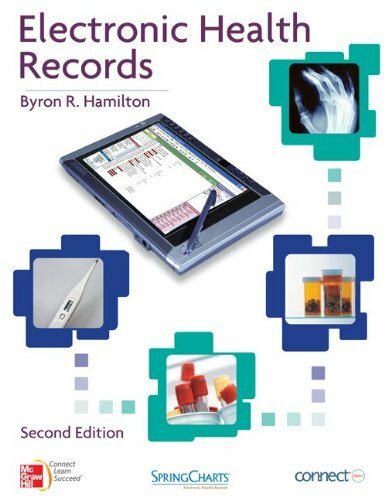 I went into this book thinking it might be too basic, yet I walked away with a lot of ideas, and some interesting new techniquess. In the end, you'll be left wanting to know more about the components and techniques you've picked up. (You'll probably want to add Don Lancaster's classic CMOS Cookbook to your shopping cart. It will give you the details about many of these components.) Highly recommended. I'm looking forward to other books by this author. Ah ! this book is one of the best i bought. Book paid for never received. 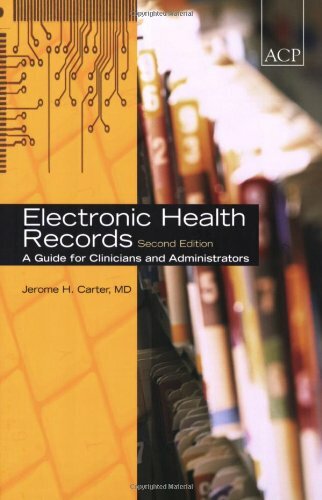 I order the book for a college course I am taking on Sept 17, 2010.I still haven't received the book nor have I received any response from Amazon or the dealer about a refund or where the package is.I sent to requests for a tracking number or feedback of any sort and haven't heard from the dealer yet.I do not recommend purchases from this dealer. I never receieved the item. I never receieved the book that I paid for. After waiting the appropriate shipping period, I have tried to contact the seller without any reply. I would suggest that you stay away from this seller as far as possible. The book arrived quick and in very good condition, just like described by the seller. Very glad to find great offers like this one saved me over $70.00. 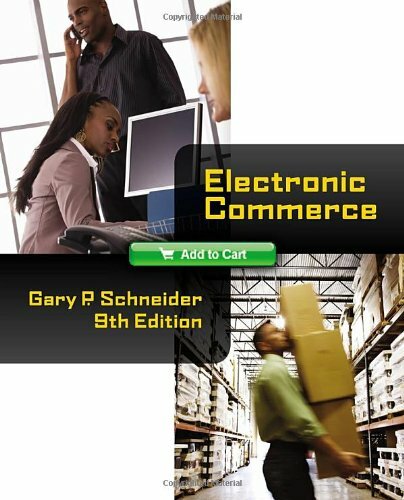 Having to pick this book up for a class, I wasn't sure what to expect.I was pleasantly surprised at how good the book was.It's pretty easy to read, there is a ton of information in it, and it's very helpful if you want to start a business online.It's up-to-date too, so you aren't getting weird dot-com info, and you are reading about how some companies failed.All-in-all, it's a good book that I recommend. 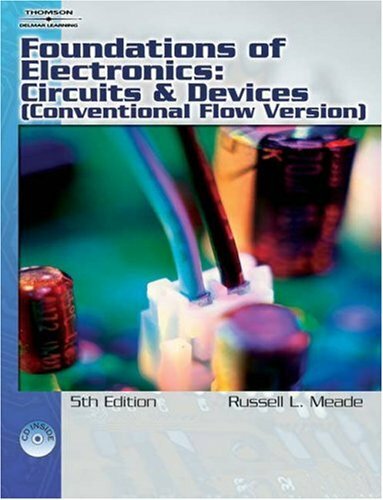 This book begins with the basics of electronics and discusses the physics and math of circuits beginning with Ohm's law and goes on to cover the whole scope of electronics.May be an out of date textbook but a very useful reference for anyone in electronics. This textbook is far and away the best I've ever seen on the subject.I wholeheartedly agree with the previous review, and would like to add a few comments of my own.This book, as a stand-alone text, is outstanding.If you combine this book, the lab project manual(sold separately-around $70), and invest around $50 in a Multisim software program(10.1 is the newest version right now), you've just given yourself the basis of an electronics education that will serve you well for the rest of your life.Multisim is basically a circuit prototyping and analysis software package.It has a 3-d breadboard where you can hook up circuits(with around 16,000 different components to choose from) and see how/if they work, analyze and troubleshoot them, etc.Pretty much anything you could do on a breadboard, you can do on Multisim.This book comes with a disk that gives you ready made circuits to open with Multisim to experiment on, and it walks you through doing so.It's unbelievable.The lab manual gives you a ton of actual circuit building experiments to do on an real breadboard...again walking you through.The book itself starts assuming no previous knowledge of electronics, and takes you up through transistors, oscillators, op amps, etc.It has a plethora of examples that are worked out step by step, with practice problems coming every couple of pages, and then chapter review problem at the end of every chapter...all with the answers at the back of the book so that you can check your progress.I've never taken the time to review ANYTHING my whole life, but this book has been such a blessing for me, I just had to.I'm teaching myself electronics, in preparation of starting an Electronics Engineering program at Devry this spring.I just wish I would've bought this book earlier, instead of some others I bought.HIGHLY recommended! Esta mas o menos friend! 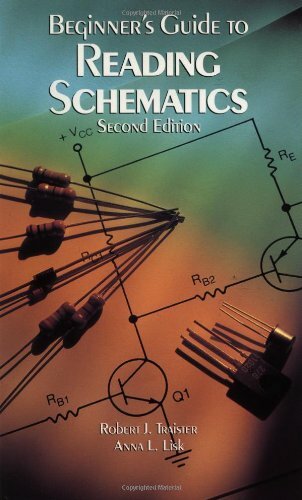 If you have absolutely no experience reading schematics this book will help you some. I got it because I have a basic understanding but wanted to brush up and improve my reading skills. The book was of no real help and I stopped reading it halfway through. They show you symbols but give no real explanation of how the acutal equipment functions in the circuit. 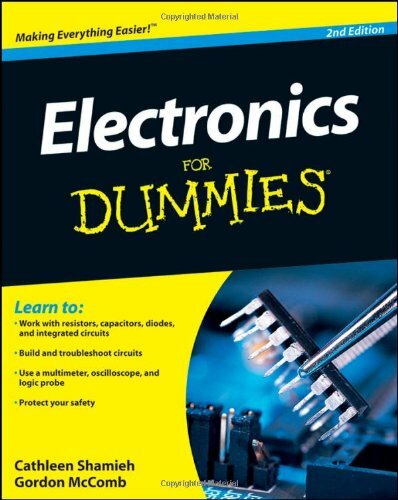 The author also does a poor job of going trough the paths of more complicated circuits. There is also a full chapter explanation of "symbology" that tries to turn into some sort of sociology/linguistics lecture. Totally unhelpful except in the most basic way. He tried to make a book for the beginner but didn't include enough theory to make the material make sense. This book was more about symbols and looking them up and not about actually explaining the flow of electricity through circuits. Anybody can look up symbols in a legend and find out what they are and surely we don't need a whole book about it. 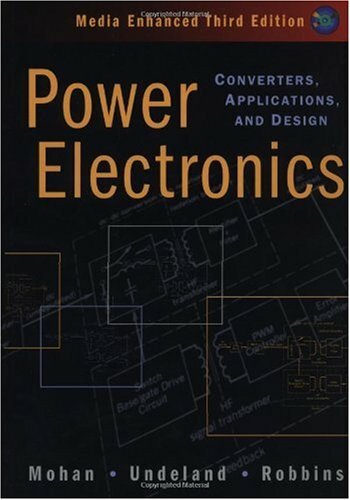 However getting use to reading the way electricity flows through various circuits and devices can get pretty confusing and this book did very little to help clear up that. That's what I call reading circuits. I thought this book would have various example circuits of increasing complexity and trace the path of current flow through each one and explain some of the anomalies we might encounter. Thumbs down on this one. I bought this on impulse while ordering another book. Sorry I did, wasted my money. I can't really figure out who the intended audience is: If you have never been exposed to electrical schematics you wouldn't likely want this compendium of symbols with no conceptual background, and if you have had even a little conceptual background you have already been introduced to most of this. 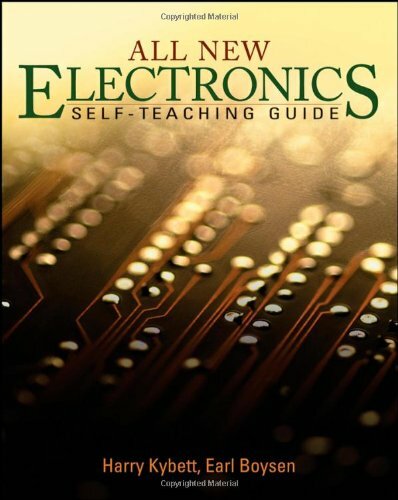 You don't need a book to find out what the schematic drawing of a transistor is, for instance, because any instructional material dealing with electronics circuits that you look at will include that information. Reading the individual symbols used in circuit diagrams and schematics isn't difficult- they are just symbols you can look up in any table of electronic symbols. 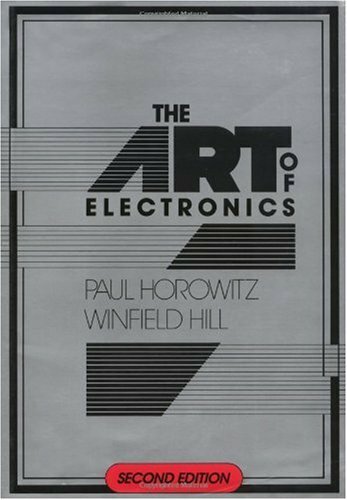 The difficult part is conceptualizing how the components work together by "reading" the schematic- following the signal or current flow or being able to identify functional blocks, something this book does not help you with. 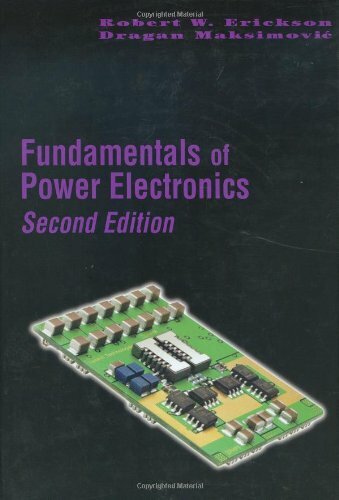 All the circuits used as examples in this book are very basic, and the theory that is discussed is very superficial. 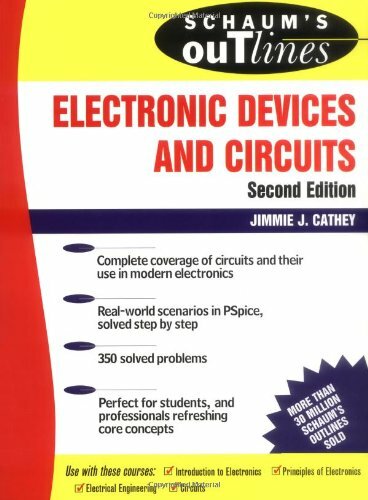 I am not saying this book has no value, but it's value is minimal and can be easily found in the introductory chapters of most any primer on electronic circuits. 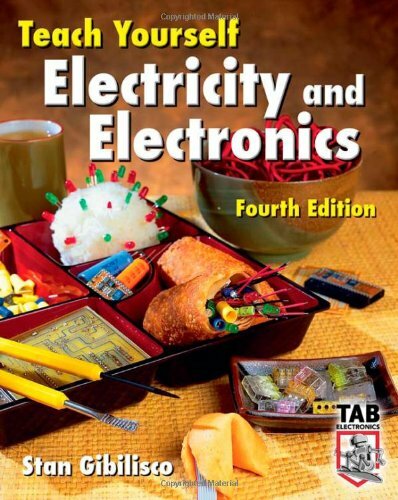 For that I recommend a similar vintage TAB book written by G. Randy Sloan entitled "TAB Electronics Guide to Understanding Electricity and Electronics". Ive just recently got into DIY guitar effects and read all different sorts of reviews by people about this book. 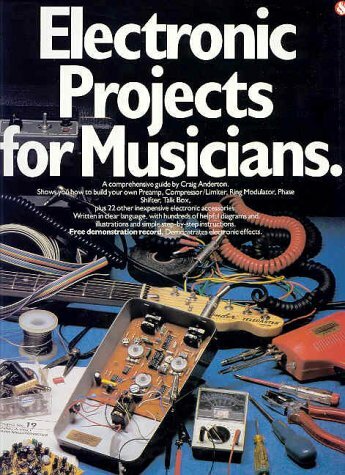 Ive managed to get quite alot out of this book from a musicians point of view.DIY Muso's generally are not interested in the maths behind electronics and just want to know the ins and outs of how things work when doing some diy work. Definitely worth purchasing if you are interested in creating some of your own effects and learning how electronics can define your own sound.Pricewise, not too bad. The best book on guitar stomp boxes ever,good luck finding parts now,P.A.I.A still sells his boards and parts but not all. I picked up a copy of this book to get some creative ideas in my project studio, but this book is clearly for the do-it-yourself hobbyist who might have an interest in music, not for a musician. 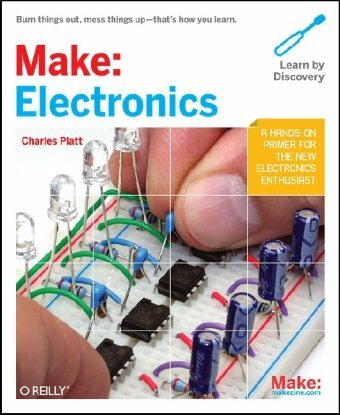 If you like playing around with circuits, building things from parts and such, this book might be of interest (although there are far better, more detailed electronic home project type books available), this book should probably not have "musician" in the title. Wonderful book!I built about half the projects 25 years ago, and I am so glad it is still in print.The effects are wonderful, very high quality, and the instructions make the construction process very do-able.